The Maltby MG Tour Grind Wedges were designed for the player that demands creativity around the greens. 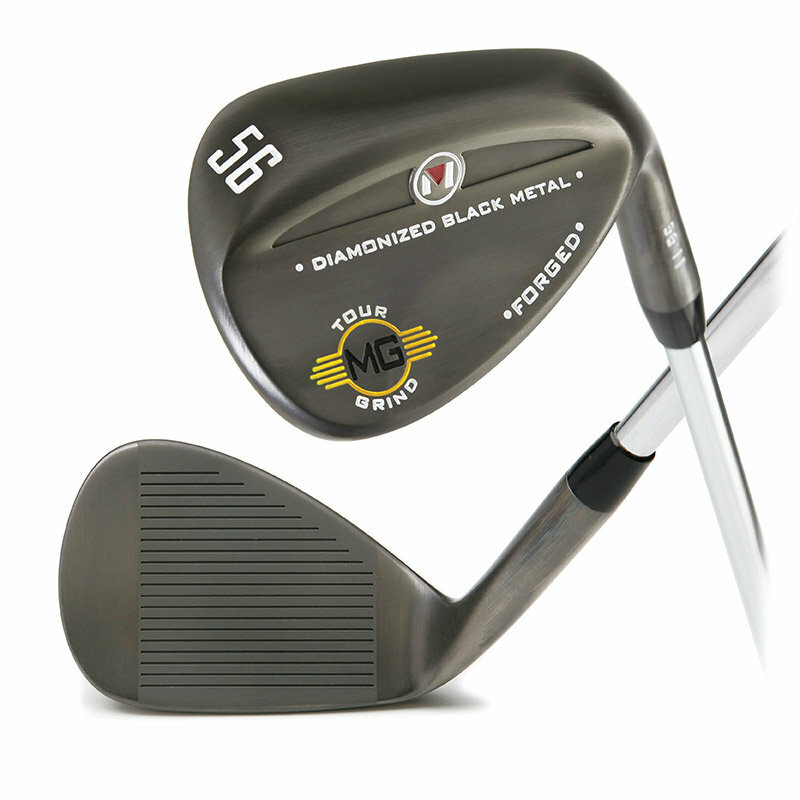 The sole design of the MG Tour Grind Wedges features a narrow sole with an exaggerated toe and heel Tour Grind making them the most versatile wedges ever designed under the Maltby brand. Micro Grooves (MG) have been CNC milled into the face to consistently increase spin around the greens. The Diamonized Black Metal finish is a very thin chemically implanted coating that is twice as durable as traditional nickel chrome plating and 30 times more durable PVD coatings typically found on modern black wedges. The DMB finish will not “crack” or “peel” when being bent to custom specs yet is so strong it will actually extend the sharpness and overall shape of the precision milled MG grooves vs. any other wedge finish currently available. If you desire a wedge that allows for the ultimate in consistency and creativity, the Maltby MG Tour Grind wedges are the answer!